Little to report today. No cycling, no running and no dog class. Just ball chucking on the park with the boys during with Doggo must have forgotten in which particular patch of long grass he dropped his ball at least half a dozen times. It was a very long walk. Thank heavens for MD, who repeatedly sniffed out Doggo’s ball for him. 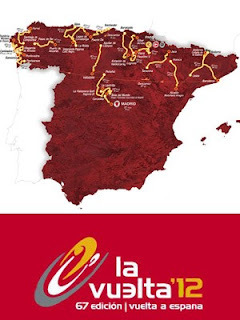 Thank heavens too for ITV4 and their coverage of la Vuelta a España, ideal for anyone who’s struggling with being Olympic cold turkey.